The list of resources below has NOT been individually endorsed, and none of the people listed are part of the Kajabi Team. We're providing this list of independent contractors as an alternative to Kajabi Member Services. Please do your own due diligence, and follow best practices for anyone that you would hire to do work of any type. Get a clear written bid, agree on price and deliverables, and ensure their portfolio reflects what you desire. In short, we just want to be extra sure that you know these are all independent providers, and are not affiliated with Kajabi. Work EXCLUSIVELY with New Kajabi members helping with the set up and management of their site. They will help you make all the pieces fit together. Pre-launch walkthroughs so you can have confidence during launch. Caroline Onyedinma - CLARIFY Your Message. CAPTIVATE Your Audience. CATAPULT Your Course Sales. Want the Kajabi strategy, sales message, setup and support that’ll give you more MONEY, TIME and PEACE OF MIND? P.S. No need to figure it out alone. Get the help you need now to make the revenue you deserve forever. Has been working with New Kajabi since the launch in the fall of 2015. Since that time, worked with dozens of satisfied clients and have developed a comprehensive understanding of the Kajabi platform. Customize existing themes, or create customized, original themes to give you the exact look and feel you are seeking from your Kajabi site. Add a custom domain so that your site is easier to access and has a more professional feel. Integrate Kajabi with Infusionsoft, AWeber, Mailchimp and Ontraport. Reliable, works quickly, and most importantly, takes pride in delivering an exceptional result to each client. Lauren Goldstein - Helping you make things simple, so you can grow. Our proven strategy will help get your Kajabi instance running smoothly and effectively to convert your browsers to buyers. We help you quickly and simply and bypass all those potholes of unfamiliarity. We look at your business as a whole and help you create a simple, but effective strategy to achieve your business goals. We don’t want you to have to worry about making mistakes, feeling overwhelmed, or be left wondering what works and what doesn’t – we want you to focus on building your business and helping your audience, not figuring out how to build wings midair as you try to take off, with Kajabi Made Simple, we’ve got your back! Simple trainings to help you manage it all confidently moving forward! Strategy first, so you can grow your revenue and your impact! Assisting Kajabi users to build their Kajabi sites, set up Pipelines, Long Form Sales Pages, Create Digital Products, Courses, Email Sequences and more! The team also work with entrepreneurs to launch their programs and assist with ongoing marketing, promotion and advertising. Will take you through the 5 Step Predictable Sales System. After that, you’ll be absolutely ready to launch & scale your business, with or without help. I teach course and membership site creators how to overcome their tech overwhelm and confidently build their profitable online business. Create the online business of your dreams on Kajabi, even if marketing and technology completely overwhelms you. One on one coaching to help you make progress fast! I help you to develop your big picture strategy for your course or membership and we get it mapped out so you can start building out your Kajabi site. “Done with You” Implementation Workshops – small group virtual implementation days where we tackle specific projects such as building your audience, creating webinar funnels, creating a high converting sales page for your next launch and we’ll get it done in a day! “Done for You” + Coaching – don’t want to build out your site, your pipelines, your sales pages? I get it! My team can provide this service, BUT, if online marketing is new to you, you also need the coaching to help guide you to the right strategy for building out your marketing strategy and how all the pieces fit together. 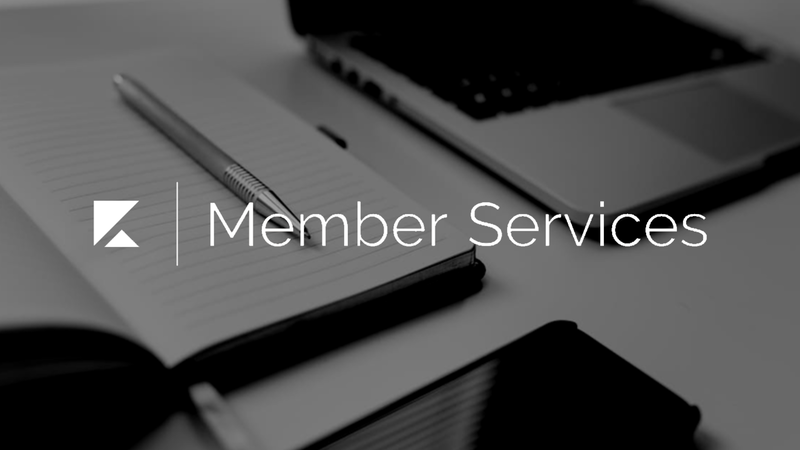 • Kajabi Website Creation and Maintenance - We build full functioning kajabi websites, set up online courses and membership system and create automations. • SEO - We will implement effective SEO strategies in order to rank your site in google that'll help you generate organic traffic. • Social Media Management - Creating content, growing and engaging with your audience. Website Setup all of your public-facing website pages Will need your brand logo, color palette, font style and other graphics. Appropriately-sized. If you don’t have this, look online and on Pinterest for inspiration and put together a brand board of things that inspire you and that you feel are visually-congruent and convey your identity, as well as resonate with the clients you want to attract. Homepage with header navigation links Blog. Podcast. Speaker One Sheet. Calendar scheduling integration with software of your choice. Pre qualification questions or ASK Method survey funnel for list building and segmentation. Do you currently have a website on Wordpress or another platform that you want to migrate to Kajabi? If so, please let us know. If you are keeping your existing website, we will add links so there is bi-directional navigation between it and Kajabi. Do you sell physical products on Amazon or Shopify that you want to integrate? If so, we will need images and links to these e-commerce listings. Do you have affiliate products that you want to offer in addition to your own? If so, we will need product images and links. Do you host live event registration that you want to integrate with your website? Clarify who your most ideal customer avatar is. Create an irresistible offer. Create a high converting sales page, with copywriting. Create an optimized thank you page. Lead Generation Decide what will be the best thing to offer as your FREE lead magnet. Setup your lead capture page, opt in form, with tags, automated email sequence and optimized thank you page. Landing page conversion optimization. Copywriting. Offer creation. Email List Do we need to import contacts from another platform? Is this list segmented in a way in which you want to preserve? If so, we will need several CSV files. If not, then just a single CSV file. Online Course Development in Kajabi Setup your online course outline and product syllabus Upload course content - videos, audios, PDFs and images You will need cloud storage Dropbox or Google Drive to share files. Create 3D cover art for your online course. Integrating the TECH you need STRATEGICALLY so that you have an online presence sharing your message and mission with the world, loud and clear. I can help build Websites, Funnels, Long Form Sales Pages, Course Set up, Email Marketing, Third Party Integrations, etc. I have been working exclusively on Kajabi for the last three years. If it can be done in Kajabi, then I can do it for you. You can reach me at sneha@snehahiremath.com for a free-flowing conversation to know more. Kajabi Website Design, Configuration, and Support including Course Creation, Pipelines, Integrations, and more. So you've found your way to the land of Kajabi and the online world of courses and memberships. how you want it to, and learn all the moving parts​. get your message to the world. Hey - take a breath. SPEED the whole process up, AND..... GET your site launched! built.... the quicker you start making money! And look at all the resources on here to help you!!!! You're already 10 steps ahead of the pack just for coming to check us all out! 💠Hi. I'm, Penny from Penny In Your Pocket. 💠I make Kajabi sites look un-Kajabi. well, we can't do that on Kajabi... NO... JUST JOKES! We can get pretty close to these with some creativity. > Want to see what I mean by automatically? I'm going to send you to my Kajabi website. Fill in one of the forms and watch what happens.... I dare you! Complete to schedule a needs assessment and pricing. I am interested in Member Services for my business.